Minions & Despicable Me birthday parties, are so popular with kids and so much fun!! There's not a child who doesn't love them and with the movie Despicable Me 3 in theaters right now, you can bet Minions parties are going to be on the rise. So, if you're planning a Minions or Despicable Me 3 themed birthday party, make sure you check out these 12 awesome Minions party supplies. We're sharing a set of Big Hero 6 free printables with you today designed by Michelle at Printabelle! I just saw the movie a week ago and I loved it. It really stuck with me, I think because it was not just fun but very emotional. Thinking of throwing a "Glam" birthday? 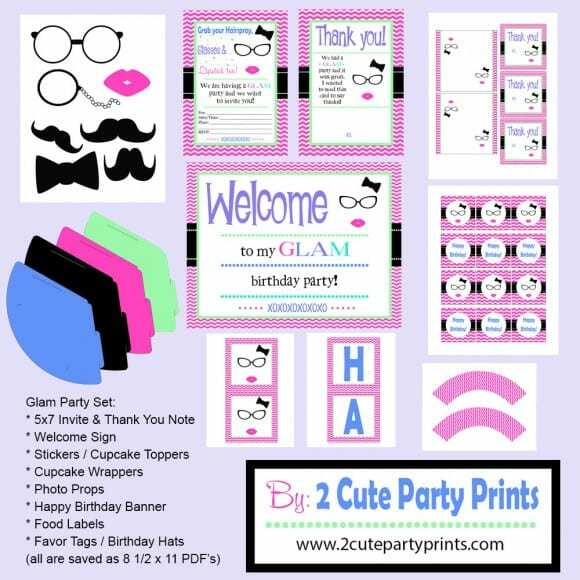 How about using this fun party printable collection designed by Tori at 2 Cute Party Prints! 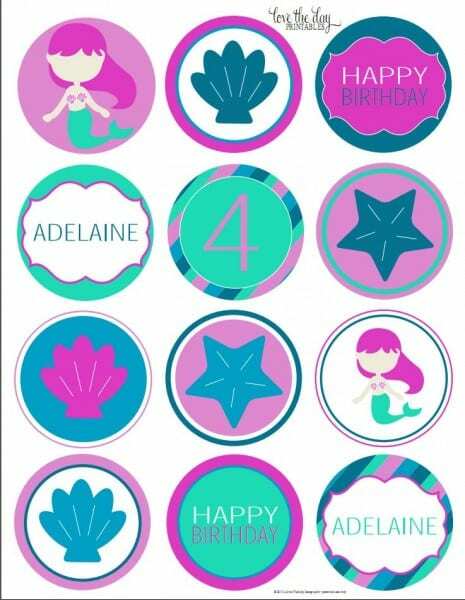 The collection includes: a welcome sign, invitations, "Happy Birthday" banner, cupcake toppers (which can be used as stickers), cupcake wrappers, favor tags, food labels, party hats, photo booth props (so cute!! ), and thank you notes.